From Banpresto. This Chibi figure series is based on the life of Trafalgar Law, one of the central characters in the global anime sensation One Piece. 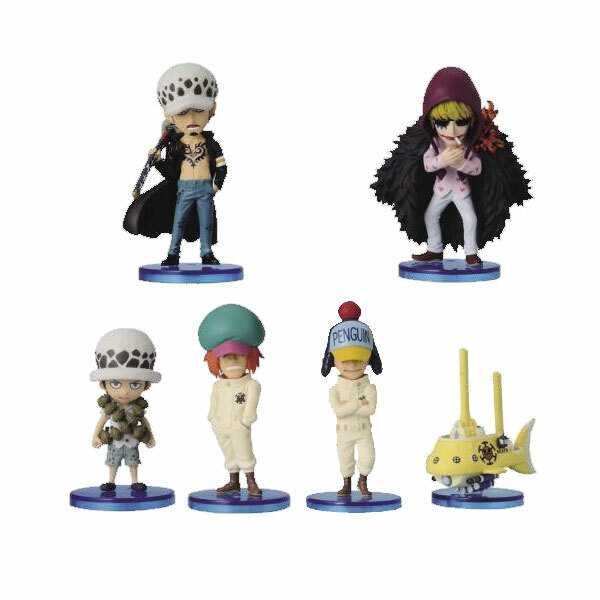 The 2¾ tall figures include Law (Childhood and Adult versions), Corazon, Penguin, Shachi, and Law's Submarine!